It is our pleasure to send you the March Edition of ISP Brief, the monthly newsletter of the CSIS International Security Program. ISP Brief features articles and commentary written by our scholars, their analysis as published in various media sources (including video and audio highlights), and links to recent events. We hope the newsletter provides you, our readers, a snapshot of the excellent work underway in ISP, and the engaging thoughts of our experts. As always, your feedback is welcome. READ "The Sky Is the Limit: Geospatial Data, Global Food Security, and Political Stability" by Scott Aughenbaugh, Kristen R. Hajduk, and Melissa Hersh, CSIS International Security Program . READ "'Micromanagement' and Military Operational Autonomy" by Alice Hunt Friend, CSIS Critical Questions. READ "Space Is Booming. America's Next Heavy-Lift Rocket Should Reflect That" by Todd Harrison, Andrew Hunter, Kaitlyn Johnson, Evan Linck, and Thomas Roberts, Defense One. 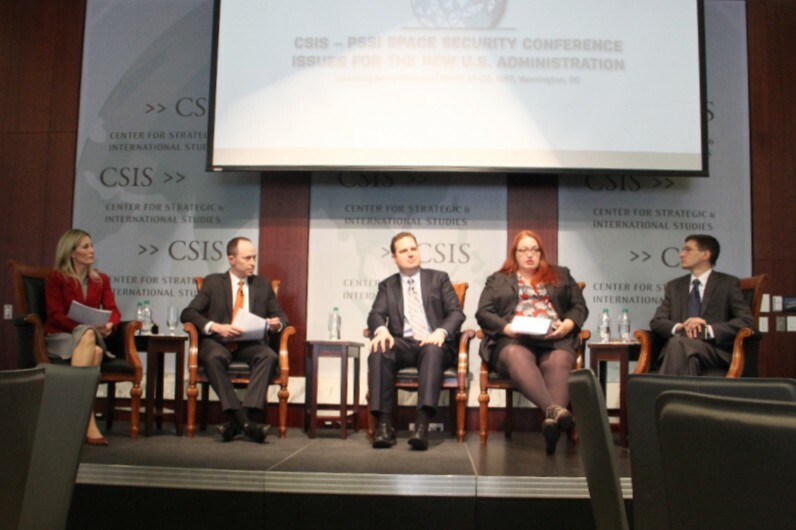 READ "Implications of Ultra-Low-Cost Access to Space" by Todd Harrison, Andrew Hunter, Kaitlyn Johnson, and Thomas Roberts, CSIS International Security Program . READ "Beyond the RD-180" by Todd Harrison, Andrew Hunter, Kaitlyn Johnson, and Thomas Roberts, CSIS International Security Program . READ "Has Putin Already Won?" by Alex Gallo, The Hill. READ "To make America great, we must prioritize the small" by Alex Gallo, The Hill. READ "The Skinny On Trump’s Skinny Budget: Much Still Unclear" by Mark Cancian, Breaking Defense. READ "What Will Replace the Third Offset? Lessons from Past Innovation Strategies" by Kathleen Hicks and Andrew Hunter, Defense One. READ "Trump's Bigger Military Won't Necessarily Make the US Stronger or Safer" by Todd Harrison, Defense One. READ "The Swiss Cheese Presidency: Why Trump's Inability to Fill Key Positions Makes America Weak" by Christine Wormuth et al., Foreign Policy Magazine. READ "A plan for peace in Afghanistan" by Alex Gallo and Ahmad Mohibbi, The Hill. READ "Missile Defense Policy Review: A Ripe Opportunity" by Tom Karako, The Cipher Brief. READ "A state-based strategy for the Middle East" by Alex Gallo, The Hill. READ "President Trump Must Realize That ISIS Is Only One Piece Of the Middle East Puzzle" by Melissa Dalton and Alex Gallo, Huffington Post. READ "The art of the defense budget deal" by John Conger, The Hill. READ "How to stop Russia from cheating on missile treaty" by Tom Karako, The Hill. READ "A Stronger NATO for a Safer World" by Alex Gallo, The Hill. READ "To make America great again, harness the power of the people" by Alex Gallo, The Hill. READ "Science, Technology, and U.S. National Security Strategy" by Raymond F. DuBois, Daniel M. Gerstein, James M. Keagle, CSIS. READ "Mitigating the Risks of Spent Nuclear Fuel in Japan" by Yukari Sekiguchi, CSIS Proliferation Prevention Program Policy Perspectives Series. LISTEN to Sharon Squassoni on the Smart Women, Smart Power podcast explain the provisions and gray areas of the Iran nuclear deal. LISTEN to Todd Harrison chat about defense budget implications after the collapse of the American Health Care Act and Wall Street’s defense spending expectations on the Defense & Aerospace Report . LISTEN to Andrew Hunter's interview on Federal News Radio about the third offset strategy under the new administration. LISTEN to Todd Harrison explain President Donald Trump's budget blueprint on Council on Foreign Relations' podcast. WATCH Tom Karako discuss the evolving missile threat, Russia’s presence in Syria, and his missile defense recommendations for the Trump administration on the Defense & Aerospace Report . 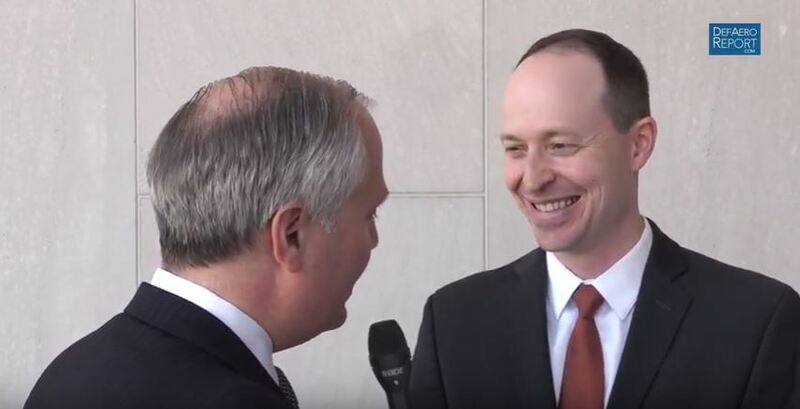 WATCH Todd Harrison's interview with the Defense & Aerospace Report on his space policy recommendations and the U.S. defense budget outlook. LISTEN to Todd Harrison discuss the "skinny budget,” potential for a government shutdown, and DoD waste and efficiency, on the Defense & Aerospace Report . LISTEN to Mark Cancian on Federal News Radio explain how DoD can make the most out of the proposed budget boost. HEAR Sharon Squassoni talk on CBC Radio about the likelihood of nuclear war and how close it would bring us to the end of the world. HEAR Tom Karako's interview on NPR where he discusses North Korea's nuclear program and the type of threats it poses to its neighbors. LISTEN to Kathleen Hicks's interview on WBUR on President Trump's defense spending boost. WATCH Todd Harrison speak on Defense One's panel "Cocktails & Conversation: Space and Satellites in the New Administration." WATCH Tom Karako talk about the strategic timing of North Korea's missile test on CBS News. 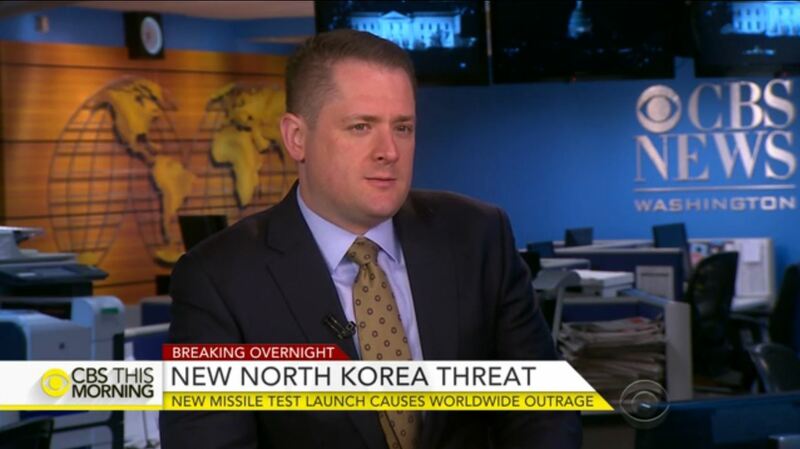 WATCH Tom Karako on CNN as he talks about North Korea's latest missile tests. LOOK at Tom Karako's data chart on North Korean missile and nuclear tests featured in The New York Times. 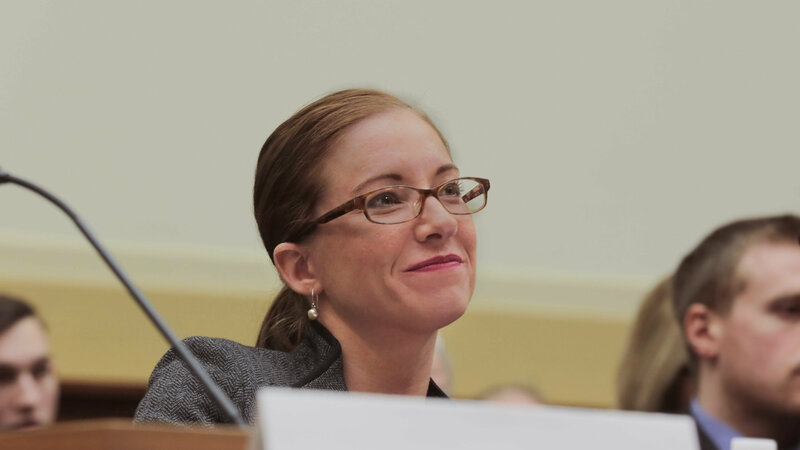 LISTEN to Christine Wormuth talk about "Global Challenges for the Trump Administration" on the Smart Women, Smart Power podcast. HEAR Todd Harrison in the Defense & Aerospace Report's first podcast as he discusses the implications of the 2016 election on defense and aerospace business. 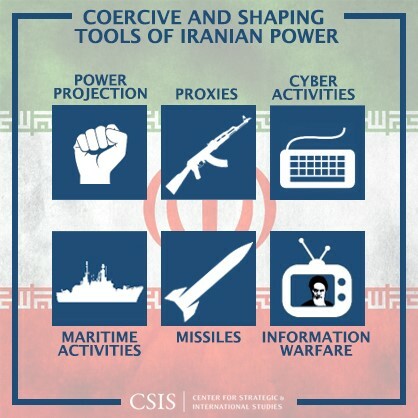 WATCH the Proliferation Prevention Program's latest video in its original interview series on the Iran Nuclear Deal. See the rest of the series here . "It's certainly not the average thing you hear combatant commanders say," she said. "They usually do almost always advocate for more resources, including personnel." - Alice Hunt Friend quoted in Inside Defense article "Waldhauser: COCOMs need to see big picture when seeking resources" on March 30, 2017. 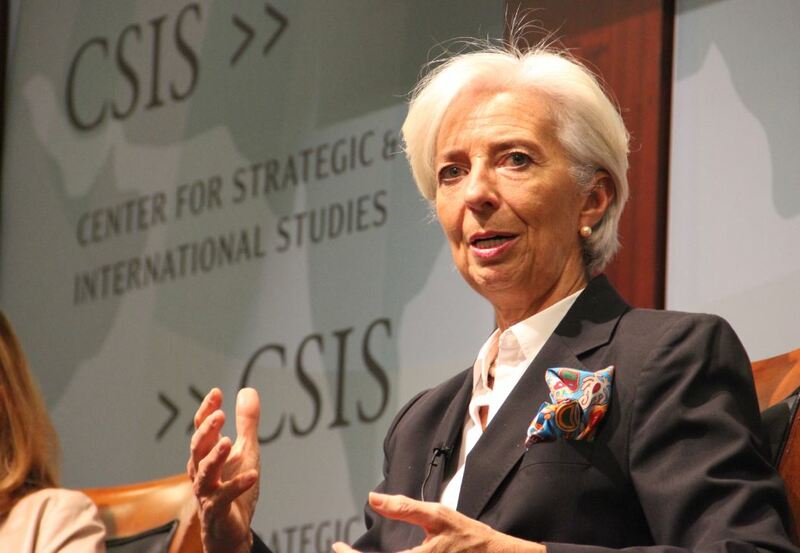 "There are real savings to be had, but you have to invest political capital,' he said. 'If you're not willing to do that then you can stick with process, reorganization and that sort of thing. Those can be helpful, but reorganization and process by themselves don't save you any money." - Mark Cancian quoted in Inside Defense article "Mattis promises new Pentagon reforms to balance call for additional spending" on March 30, 2017. "Andrew Hunter, director of the Defense-Industrial Initiatives Group at CSIS, said that as the market is maturing and developing very rapidly, people need to stop thinking about launch as just rockets and view it as more of a service...'That’s a different kind of acquisition strategy than the strategy that says I’m trying to build and fly a rocket...what kind of risks is the government developing in its acquisition strategy, is the government willing to take, and how does it manage that? '” - Andrew Hunter referenced in Space News article "Agreement on goals, but no easy answer for future of national security space launch, experts say" on March 29, 2017. "Lisa Samp...said that the pros for Montenegro’s membership still outweigh the cons. 'It affirms NATO’s open door policy, it shows that Russia is not going to have a veto over the decisions of the alliance. It also furthers the project of Balkan integration with the West, and shores up a key part of the NATO map on the Adriatic [Sea],' she said, including that Montenegro’s accession isn’t about teaming up against Russia." 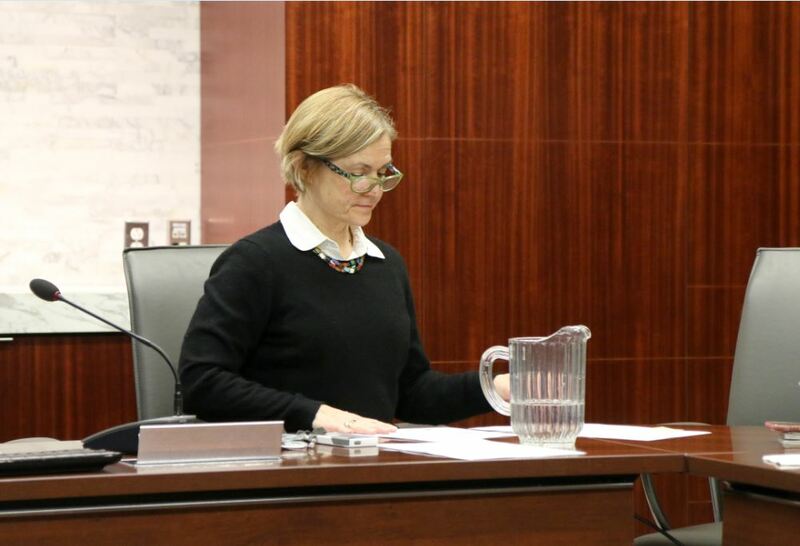 - Lisa Sawyer Samp quoted in Talk Media News article "US Senate votes overwhelmingly to admit Montenegro to NATO" on March 28, 2017. "Taking small steps in Arctic cooperation and re-opening dialogue on issues where the two nations have worked together counterterrorism, especially after the Sept. 11, 2001 attacks on the United States would help restore trust and reduce the chance of misjudging one or the other’s intent in a crisis." 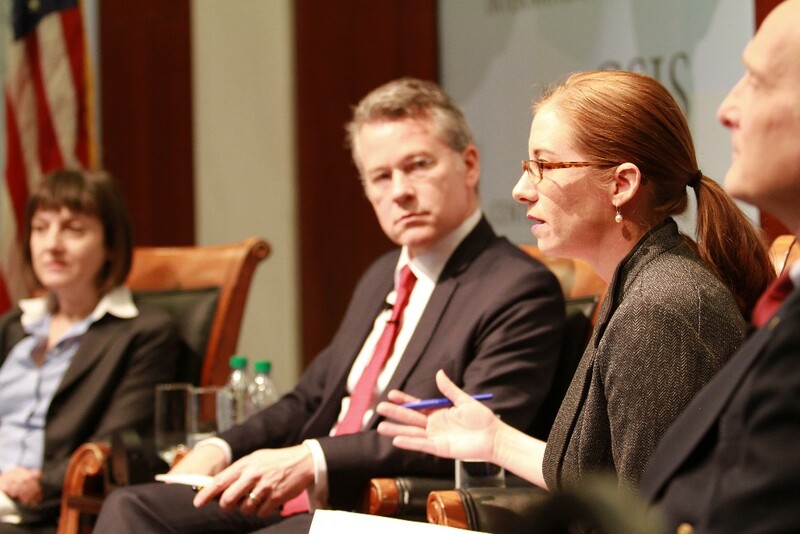 - Kathleen Hicks cited in USNI News article "Panel: Conversations on Missiles and Nuclear Weapons Key to Rebuilding U.S.-Russian Relationship" on March 24, 2017.
" So far, the Trump administration appears to prioritize capacity and readiness, and seems willing to sacrifice more advanced capabilities. This could result in a significant shift within the DoD budget, with a greater share of the budget going to pay and benefits of personnel and to maintenance and training accounts. And it may be bad news for research and development funding, which may not benefit proportionately from the proposed increase in the budget. " - Todd Harrison in The Cipher Brief interview "Aligning the Pentagon Budget with Strategy" on March 28, 2017. "...while allowing the Pentagon to catch its breath could be a good thing, it's something that's been discussed before but rarely actually happens." - Andrew Hunter quoted in Washington Examiner article "House Armed Services Chairman Mac Thornberry told slow down Pentagon overhaul" on March 20, 2017. “Show me the budget deal that would increase defense spending, lift the budget caps, keep all Republicans, and bring in eight [Senate] Democrats...It doesn’t exist.” - Todd Harrison quoted in The Atlantic article "Why Sequestration Is Poised to Kill Trump's Budget" on March 16, 2017. "From looking at the budget, it seems Trump 'clearly sees defense as protection,' given the increases to DoD and DHS, while diplomacy and boosting the U.S. image abroad seem 'not part of the vision,' as State and foreign aid are gutted," - Mark Cancian cited in The Cipher Brief article "Trump’s 'Skinny Budget' Would Fatten the Military on March 16, 2017. "This marks a real act of courage on the part of the South Korean government, working with its American allies, to do what these two countries together feel is a necessary and appropriate action in the face of Chinese bullying." - Tom Karako cited in CNBC article "Saber rattling: China and US at a dangerous military tipping point" on March 9, 2017. “A single THAAD battery does not represent the end of missile defense deployments on the peninsula, nor is it the beginning, but it may represent the end of the beginning.” - Tom Karako quoted in Breaking Defense article "Will THAAD Deployment Roil Or Calm Troubled Pacific?" on March 8, 2017. “[The Russians] are not concerned with civilian casualties, which we view as something fundamentally important. They do not operate and conduct themselves in line with international law and military codes of conduct. To partner with them would sully the hands of our military forces. We would potentially be complicit in their actions.” - Christine Wormuth quoted in CBS News article "New cooperation with Russia in anti-ISIS fight looks unlikely" on March 6, 2017. "Despite some military leaders' issues with Trump's budget proposals — the cuts to the State Department and the disappointment in the defense increase — Cancian said that it's still early to draw too many conclusions." - Mark Cancian cited in NBC News article "Some Military Experts Say Trump’s Defense Budget Doesn’t Add Up" on March 4, 2017. “This is a strategy-budget mismatch within the Trump administration...A lot of the rhetoric suggests he wants to do less, but in the budget says he wants to do more. Which is it?” - Todd Harrison quoted in Los Angeles Times article "Trump wants $54 billion more for defense. The military isn't sure what that means." on March 3, 2017. "'The threat is especially potent' from Russia now. In recent years, it has built up Anti Access/Area Denial capability that 'is sophisticated, layered and integrated.'" - Andrew Hunter cited in USNI News article "Panel: NATO Unprepared to Defend Baltics from Russian Attack" on March 2, 2017. "This is really the opening negotiations for the budget battle this year...This is not a preparation for war. If it’s a preparation for war, it’s a preparation for war with Congress." - Todd Harrison quoted in Voice of America article "Trump Tours $13 Billion Warship, Touts Boost in Defense Spending" on March 2, 2017. "You’re going to need to have people who are comfortable working hand-in-glove together, all the time, because that’s what’s going to be required. The risk is that you’ll have folks who don’t work together well, and then I think the organization could really be in trouble...The system needs to be clear on what each undersecretary is focused on, both for reasons of role clarity and because you get more bang for your buck that way." - Andrew Hunter quoted in article "With most senior positions still vacant, Pentagon must tell Congress how it plans to restructure itself" in Federal News Radio on March 1, 2017. "It’s not just about ballistics any more, and (the) legislative mandate is pretty up front about that." - Tom Karako quoted in Breaking Defense article "Build Limited Missile Defenses Against Russian, Chinese Strikes: Experts" on March 1, 2017. “The president proposes and the Congress disposes...The administration will need Democratic votes in the Senate, and the Democrats have signaled their commitment to defending domestic spending. It’s going to be quite a show in Congress.” - Mark Cancian quoted in Bloomberg Politics article "Trump's Defense Spending Push May Start With the Boeing Super Hornet" on February 28, 2017.